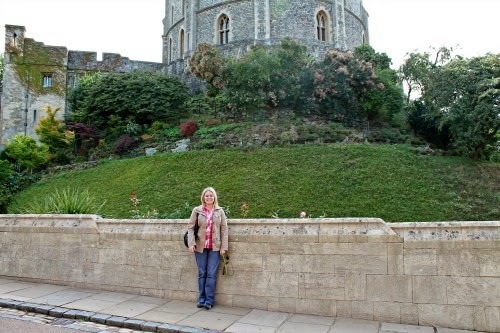 Today we are talking about one of my favorite stops on our trip – Windsor Castle! I loved everything about it and I’m so happy that I ended up with some great photos to remember it by. 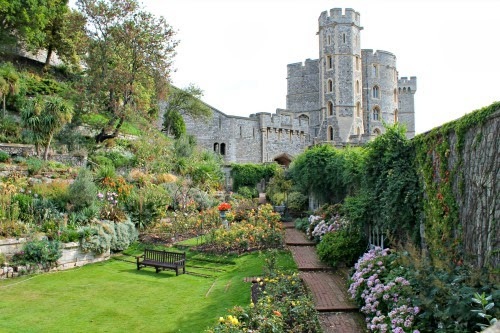 Windsor Castle is outside of the city, so you either have to take a train or go with a tour group (assuming you don’t have a car). We took the train and I would highly recommend doing it that way. The Great Western train leaves from Paddington Station. Four of the tube lines go through that station, so it’s really easy to access. Once you arrive at the station, just look for the Great Western trains – for us, it was up an escalator. The ticket machines are really easy to use and take cash/credit cards, so don’t bother waiting in line at the ticket counter. Just buy a round trip ticket to/from Slough. Check the screens to see what platform the next train to Slough is leaving from. It takes about 30 minutes to get from Paddington to Slough. Once you arrive, look for the Windsor train platform. There’s only one and the train only goes to/from Slough and Windsor. It’s a short train ride and you can see the castle as you are approaching the station. Follow the signs through the shopping center and you’ll end up on the street at the bottom of the castle wall. Head up the hill and the entrance is at the top. It sounds more complicated than it really is; please don’t be scared about doing it yourself. You can buy tickets there, but we decided to buy a 3-day London Pass. You can read more about it here, but basically you pay for the pass and it’s your entrance ticket for most of the sights around London. We planned to visit a lot of places, so we ended up saving a lot of money with the pass. I’d recommend adding up the entrance fees for the sights you are planning to visit and compare it versus the price of the pass. Oh, and keep your eyes out for a sale. I bought ours during a 10%-off sale and saved almost £8 pounds/each. With the London Pass we saved about £40 pounds/each (about $64) over the 3 days of sightseeing! Plus, most places have a fast-track line or allow you to skip the line completely and head straight to the security line/entrance! 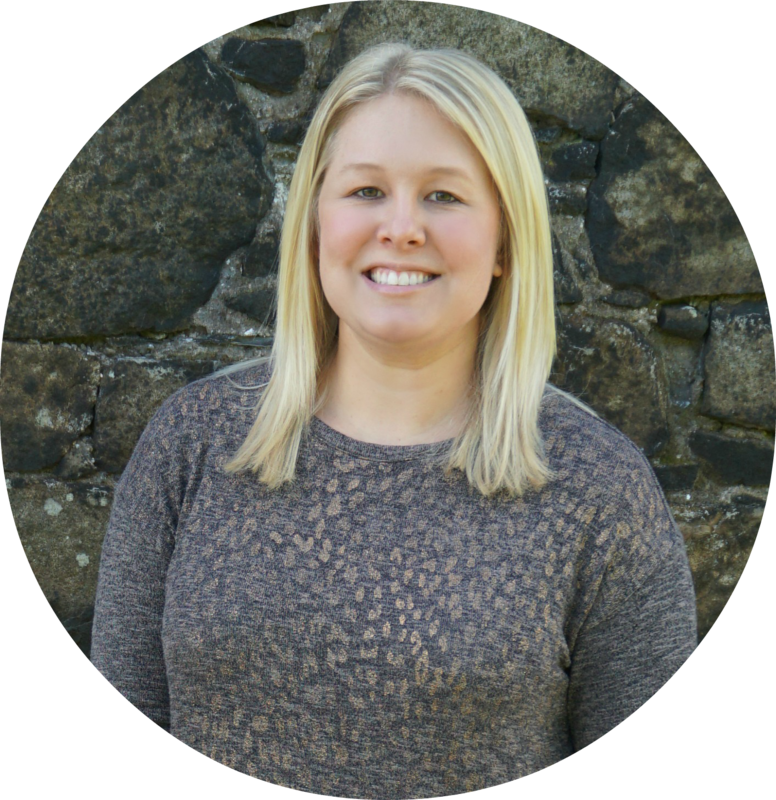 Money and time savings! 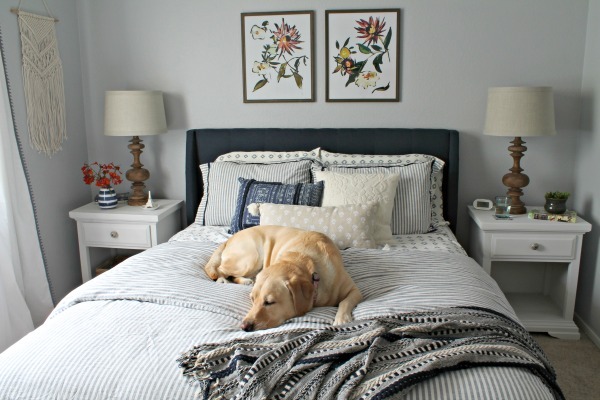 And no, I’m not affiliated with them in any way – I just love a good deal. 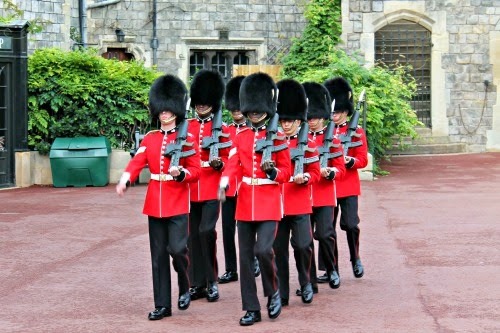 We got there around 10:30 a.m. because we wanted to see the Changing of the Guard at 11. Actually, that reminds me of my most important tip. Get there early! You’ll beat the crowds and have such a better experience. That goes for pretty much every sight in London. 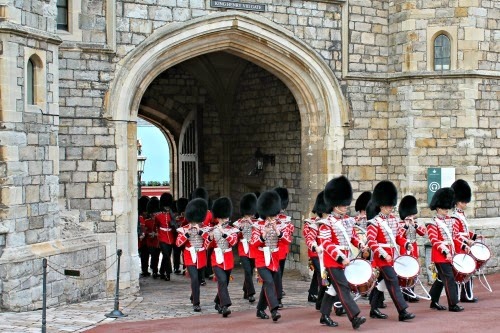 Anyway, during the off-season they only do the Changing of the Guard every other day, so check the schedule online before making any plans. We watched most of the ceremony, but left early to head back to the top and start exploring. It was a great time to take pictures because everyone else was busy watching the rest of it. That’s how I got these pictures without other tourists in them. We walked around outside and then went inside to see Queen Mary’s Dolls’ House and the State Apartments. 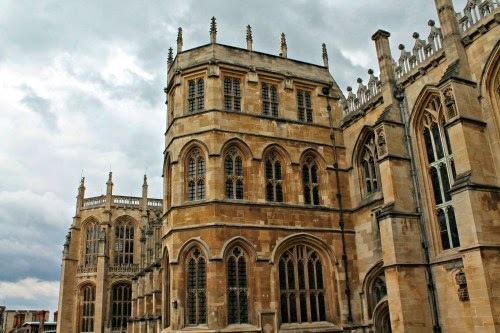 We also walked through St. George’s Chapel – where Henry VIII is buried. After we finished at the castle, we had lunch and took the train back to the city. 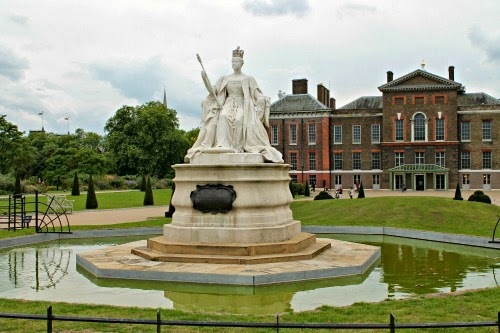 Once we arrived back at Paddington Station we hopped on the tube to Kensington Palace. Um, I wouldn’t recommend this…Windsor Castle is massive, full of beautiful paintings and furnishings, and just plain awesome. 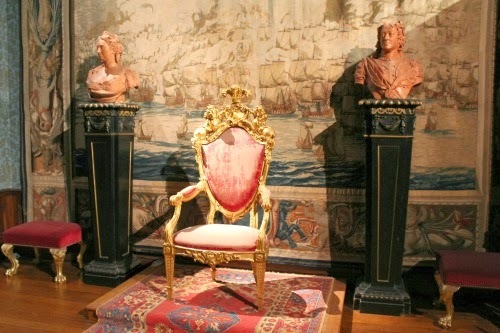 In comparison, Kensington Palace is plain. I’m sure it’s beautiful on its own, but it was kind of underwhelming after seeing Windsor Castle. I’d definitely recommend seeing them on separate days or just skip Kensington Palace if you are in London, but short on time. On the plus side, they do accept the London Pass and you can take pictures inside (no flash). 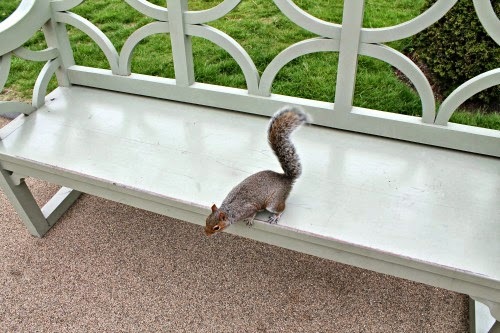 After quickly exploring the palace we sat in the garden and got chased by this little guy looking for handouts. The Kensington Garden area is nice, so I’d recommend spending your time out there instead of inside the palace. 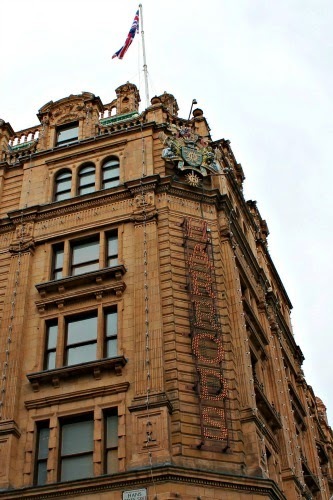 Our last stop of the day was Harrod’s for a little shopping. Most of the items were WAY out of my price range, but they have an amazing food section that’s affordable and everything we tried was delicious. The white chocolate raspberry muffin was the best muffin I’ve ever had! They also had a great tea and chocolate selection. I bought a box of raspberry & vanilla tea and some strawberry white truffles. I wish I would have bought more chocolate to bring home! Whew! Just typing all of that makes my feet ache thinking of all the walking we did that day! It was a busy day, but so much fun! Oh, and I can’t forget dinner – arguably the best meal of our entire trip! That night we went to dinner at the pub across the street from our hotel – The Three Stags. Our expectations were low, but we were blown away by the food. 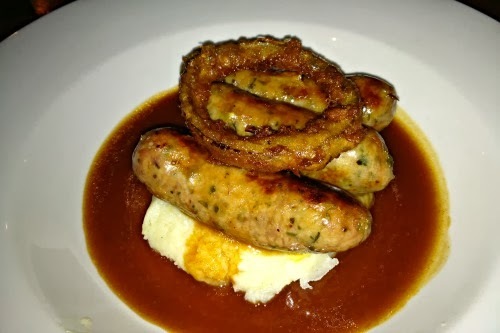 We both ordered the wild pork & leek sausages with mash gravy and onion rings. It was delicious – the picture definitely doesn’t do it justice! Afterwards we washed it down with a brownie from Harrod’s and went to bed ready for day three! Looks like a beautiful place, Sam! I am still dreaming of going to this place! So happy for you and thanks for the tips and the great photos Sam! I'm having fun diving into your older posts. 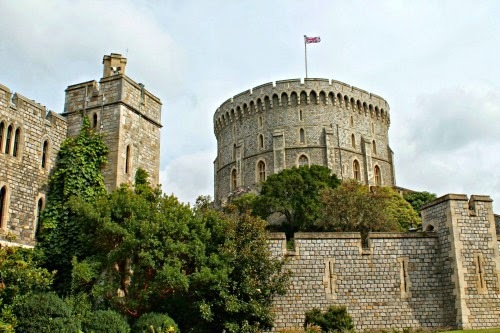 I enjoyed this post because I haven't been to either Windsor or Kensington Palace. Great to travel vicariously with you. I think I remember you saying that you like to read others travel posts before and after you travel and get their take on the particular places. I like that too. We traveled to London in September of 2006 and again in 2010 I think. I will look it up and send you a link. Your pictures reminded me fond memories. Thanks for sharing. 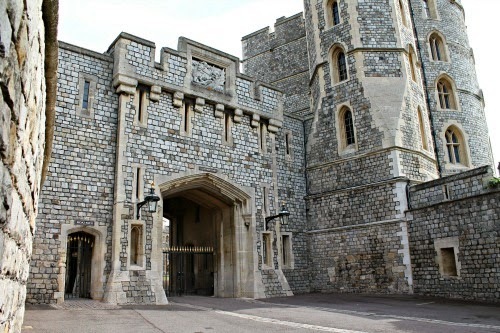 What a lovely tour of Windsor Castle! It is a beautiful place to visit. Thanks for sharing your trip and photos. Have a happy weekend! I hope to again visit London this spring and you remind me of what I look forward to.